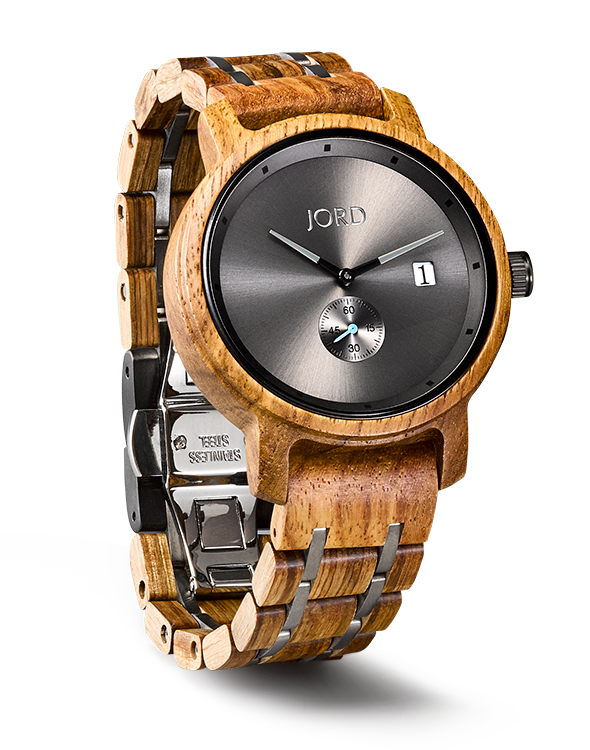 Native to West Africa, zebrawood offers a striking grain contrast and exceptional finish. Although the growth rings are very pronounced, the wood occurs naturally with both large grain and fine grain patterns. Zebrawood is considered a luxury hardwood and is most commonly used in veneer application. 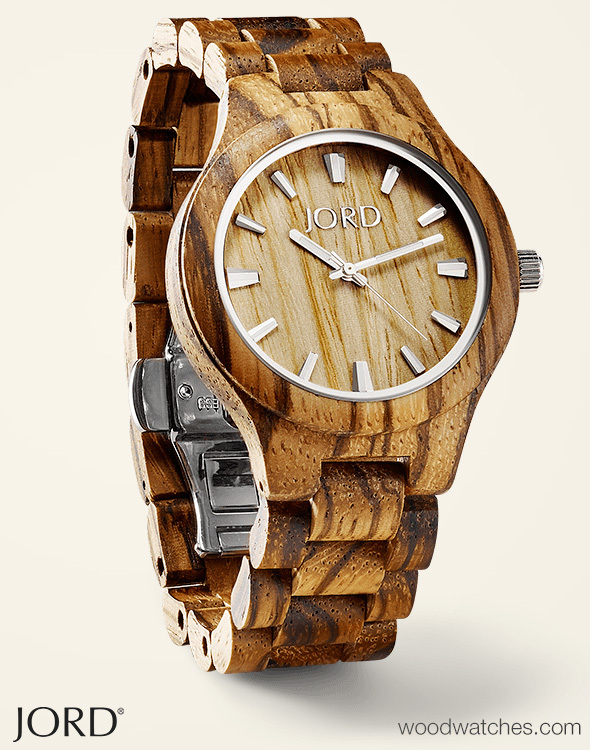 JORD uses only whole wood stock to create our Zebrawood watches. Is not listed in the CITES Appendices, but is on the IUCN Red List. It is listed as vulnerable due to a population reduction of over 20% in the past three generations, caused by a decline in its natural range.